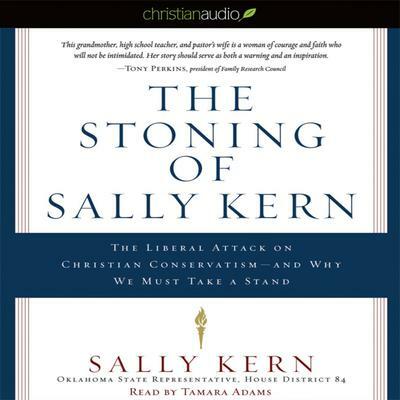 This book is about Sally Kern, District 84 House of Representatives member from Oklahoma, and her desire to see America return to the conservative principles that guided the nation's founders. In January 2008, the pastor's wife and former high school teacher gave a speech to a Republican club in Oklahoma City explaining that the founding fathers believed Christian principles would lead to a civilized society, individual self-government, good citizens, the elevation of learning, and a cohesive value system. While explaining the fifth benefit, a cohesive value system, she told of a group of wealthy homosexual activists who threatened the nation's moral fabric by attempting to unseat seventy conservative politicians who opposed their agenda. Clips from the speech later were posted on YouTube, generating more than 2 million hits and leading to what she describes as a media "stoning". That didn't stop her from winning re-election or from continuing her calls for America to return to the conservative principles that made it great. In this book she warns that there is danger ahead if social conservatives don't preserve the nation's foundations of morality, truth, and tolerance. She issues a cry for conservatives to stand for their freedom now before they no longer have the right to do so.